Waste Management Industry Health and Safety problems have been mounting, and the industry needs to wake-up to all risks including those from landfill sites and specifically those arising from landfill gas and covered by the UK Dangerous Substances and Explosive Atmospheres Regulations (DSEAR). After a number of recent years when the Waste Management Industry sector showed an improving Health and Safety record, performance has deteriorated with a rise in deaths. The stark fact is that waste management is close to the most dangerous sector to work-in, the most dangerous being the construction industry. 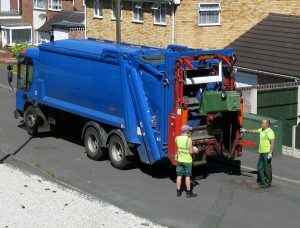 At IPPTS Associates we have been blogging about Waste Management Industry Health and Safety problems for a long while. Back in 2006 we posted the following article, which unfortunately remains as relevant today as it has ever been. Inspiration for this article arose from an article of the same name, by Chris Murphy, Deputy Chief Executive, CIWM, published in “Wastes Management”, April 2006 edition. The waste industry has been singled out as one the most dangerous in terms of health and safety, but how has this state of affairs arisen? This is not wholly, or even necessarily partially, due to issues related to the ATEX Directives and the Dangerous Substances and Explosive Atmospheres Regulations (DSEAR). However, in any risk assessment (especially for landfill operation), a DSEAR Risk Assessment should be completed and thereafter regularly reviewed and updated. The Bomel Report, Mapping Health and Safety Standards commissioned by the Health and Safety Executive (HSE) in 2004 gave all those in the industry with some stark figures on just how poor the performance of the industry has been in the recent years. The activities carried out within the Waste Management Industry are very wide and varied and do incur many risks. There is also a great deal of innovation in the industry as is essential if we are to comply with the waste targets set by government. The Bomel report quoted the accident rate within the UK Waste Management Industry at five times the national average and a fatality rate ten times the national average. These shocking statistics created a response from most of those with H&S responsibility in the industry to change the thinking on training in health and safety, to still further increase efforts to make it an across company wide (chairman to operative level) duty and to embed the philosophy of safety in the workplace. It is clear that in the past the aim of raising of the status of Health and Safety to the highest level has not been applied with sufficient vigour. And, it hasn’t resulted in enough concerted action sufficiently widely across the industry. I do have good reason, and it is because in March 2006 a safety alert released by the HSE made it clear that there have been no fewer than nine work related deaths in a recent eight-week time span in the waste and recycling industries. Measured and credible data are few and far between in our industry sector, but while we have no reason to disbelieve in these statistics, it is worth detailed analysis. as the most common industry workplace accident. These are road traffic accidents that are waste-related. Many of these incidents are more directly related to the industry operatives duties than others. In the final analysis household and industrial waste collection inevitably involves the dangerous activity of staff working with moving vehicles on crowded streets. It is fairly obvious that that there are lot of these vehicles moving around our cities, towns and villages, daily. In fact, there could be something like 4,000 Refuse Collection Vehicles (RCVs) on the roads of the UK during every weekday and most Saturdays. So it is statistically inevitable that a proportion will be involved in accidents. 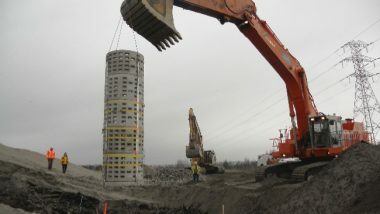 and the collection crews are involved in regular trips back and forth across the highway while collecting, discharging and returning containers. We are not going to belittle the tragic circumstances, and the untold grief caused. Nor would we wish that there should be even one injury or death – but it is important to look at this in context. What is not in question is that there are large parts of the duties of the waste/resource management that are by their nature very high risk. the plant required to transport and process it. All the major employers in the waste management industry are now actively working to improve their safety record. There, is also now a much higher level of recognition of the importance of understanding the risks, quantifying them, and finding safer ways of working. 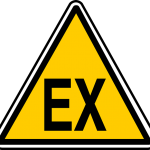 The ATEX Directive and the UK Dangerous Substances and Explosive Atmospheres Regulations (DSEAR) regulations are important within this context, although limited to just the area of hazardous substances and the explosions these risk causing. The UK’s CIWM Scientific and Technical Committee has been active in raising the awareness of Health and Safety in the Waste Management Industry, providing training, and generally furthering the level of continuous H&S quality compliance throughout the UK waste industry. The ATEX and DSEAR are an important player this overall process. We cannot continue to see the tragedy of injuries and fatalities in the sector without doing something. NOW! This section refers to United Kingdom health and safety guidance, but will be of relevance to those in other countries. The Health and Safety Executive has recently targeted the waste and recycling industry due to an increased number of fatal and serious accidents that have occurred during collection and management of municipal waste (especially in recycling activities). An HSE safety alert was issued in March 2006 after 9 deaths occurred in the industry in the first 8 weeks of this year. Notably, the HSE has launched a 3 year intervention with the waste industry that will involve inspections of both private companies and local authorities to assess waste activities. An extremely useful checklist is published on the HSE waste website listing those points that an inspector will look for. To view the checklist, click here. This provides the industry with a useful audit tool ahead of any inspection. Details of New ATEX and DSEAR Website!